Yes, Christmas is over. Sure some of the neighbors still have lights on their houses, and there's still presents that have yet to have found a place in the house, but it's over. But just like those couple of things that are always overlooked when you put all the decorations away (happens every year) there's always a few brilliant creations that didn't quite get posted before the unofficial cutoff of the season, New Years Day. 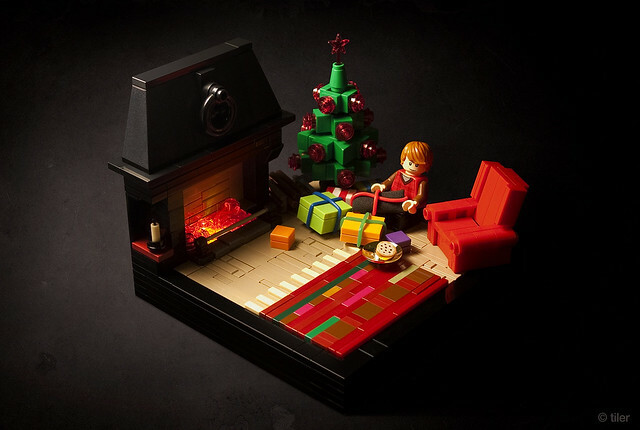 But I don't mind sharing this lovely little MOC by _Tiler a few days "late". For one, the lighting is fantastic, and illustrates perfectly the importance of lighting when you photograph your MOC. But there's also some very clever building here, namely the edging on the carpet there. How the heck was that done?